Notes: Thanks to Sean Fitzgerald for info on this. I personally vote for a track that could be made into both. Better yet someone should build a real indoor half mile that exits out into a road course in and out doors. It is possible. That would solve Waterford's, Bill's and my problems all at once. Every one likes the in door racing in the winter time. 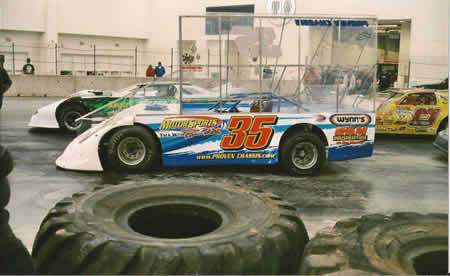 so why not put a dirt track in the silver dome???. 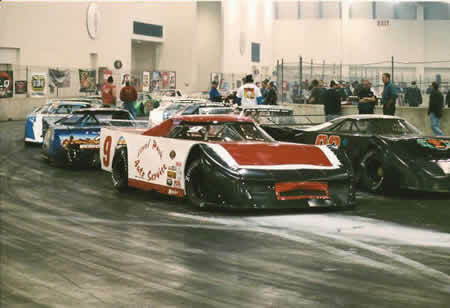 It's certainly sad that it turned out so bad for the drivers and the ASA, but racing indoors is a good idea. Be nice if a purpose built facility existed in a major market. 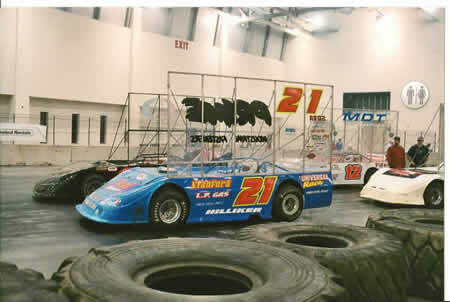 To date, there have been two races at Devos Place and and both have been disasters. The first, in 2005, had inadequate ventilation and fans complained about the fume build-up. And the entire event that year was overshadowed by the death of a security guard that was working the event when one of the huge roll-up overhead doors at Devos Place crashed down on him. The second event in 2006 didn't fair much better when the producer of the event evidently didn't have the funds to cover expenses and issued bad checks to most of the class winners & runners-up, the American Speed Association, suppliers, and Devos Place itself. Many racers and ASA lost thousands of dollars by participating. Investigations & lawsuits are pending. It might be an interesting way to bring racing to Michigan in the winter, but so far, racing at Devos has been cursed. I'd be surprised if anybody tries again. 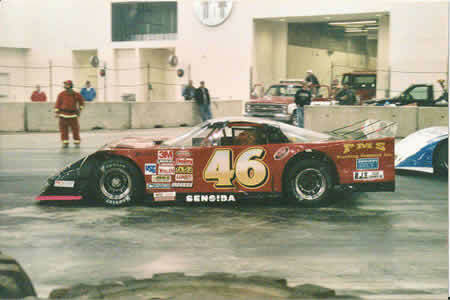 It may not be a regular motor speedway, but racing has taken place there. From what i saw it actually looked interesting. Indoor tracks are actually a good idea and if you think about it they make sense. That was the plan for New York before the plug got pulled. I clicked on this location before noticing that you listed it under Motor Speedways. This certainly is not a motor speedway. It is the relatively new downtown Grand Rapids convention center. That said, the huge exhibit hall has been used for races a couple times. Just a couple weeks ago (December 2006), a number of racers were stiffed for their payments when checks from a promoter bounced. The Grand Rapids Press would have information on this, but races are few and far between.